"A challenging but fun zombie survival game." 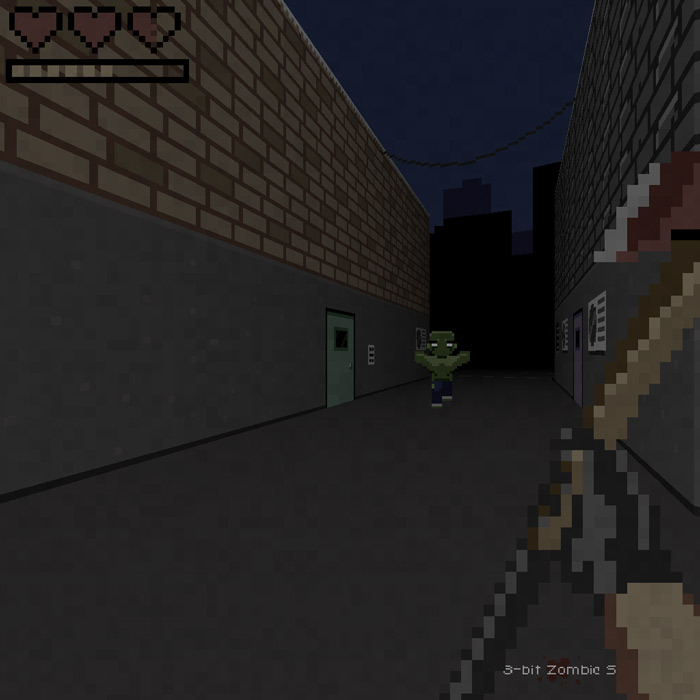 8 Bit Zombie Survival 3D is a zombie obsessed, pixel games fan’s dream come true you play as the protagonist trying to make his way through the city to find his fiancée during the zombie apocalypse, as the title suggest the game is an 8 bit pixel affair and being a huge zombie fan myself I was looking forward to this and while it is fun there was one major issue is that it is so hard and as far as I played (which to be honest was not that far) there was no save points so every time I was eaten by a zombie I was sent back to the very start of the game which after a while became infuriating, there was a police building but it was almost impossible to get past the two zombies outside and I’m sure that building would have been stocked full of guns because the only that had been discovered this far was a pick axe and although it was a useful weapon it meant it was only possible to engage the zombies in close combat and often allowing them to get close enough to plant the fateful bite that will end the game and put you back to the start again. If you are a proficient gamer or enjoy a challenge then you will enjoy 8 Bit Zombie Survival 3D but it is very hard so you have been warned. 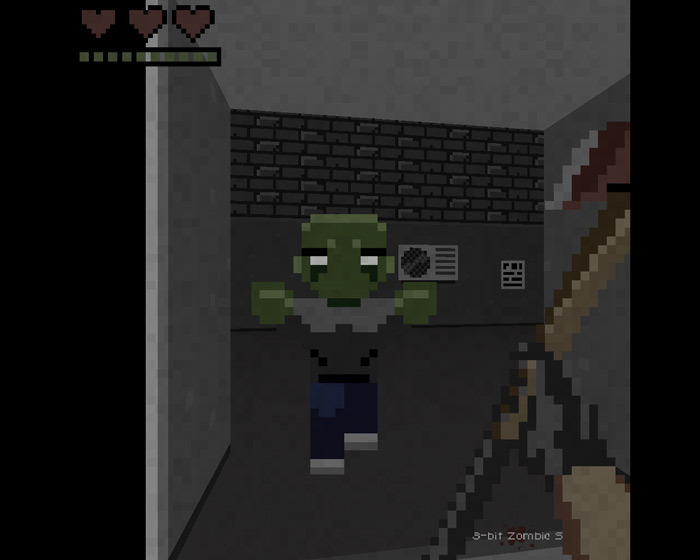 If you are a zombie fanatic and enjoy pixel based games you will surely have a great time with 8 Bit Zombie Survival 3D you can download it here for free.